Our friendly staff can tell you all you need to know about great sights to see, places to visit and give you insider tips on making the most of your experience. There are lots of ways to get to Grand Canyon National Park, depending on where you're coming from, your budget and what you want to do once you get to the park. 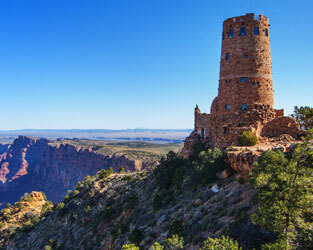 Take a Greyhound® bus to Flagstaff or Williams, AZ. From there, shuttle service (seasonal) is available into the park. 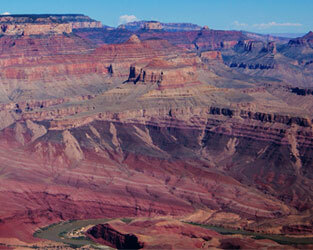 Several roads lead into the Grand Canyon's South Rim, but the biggest are Route 64 and Route 180. See Google Maps for specific driving directions. Five airports serve the Grand Canyon's South Rim: Las Vegas' McCarran International Airport, Phoenix Sky Harbor International Airport, Flagstaff Pulliam Airport, Phoenix-Mesa Gateway Airport and Grand Canyon Airport. 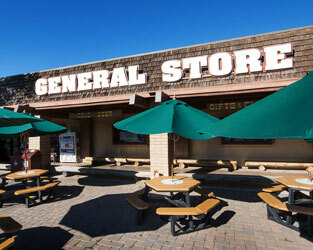 Large commercial carriers serve Las Vegas, Phoenix and Flagstaff, where you can rent a car and drive into the canyon. Smaller airlines such as Allegiant Air fly into Mesa. 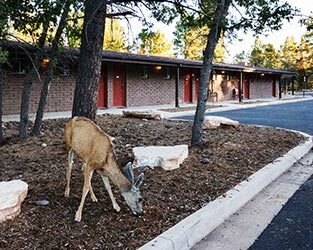 Once you've arrived at Grand Canyon National Park, you can choose to drive if you like, but there are certain areas of the South Rim that are not accessible by car and can only be reached by shuttle bus or by walking. Furthermore, during peak times - especially the summer - parking becomes difficult. So it's often helpful to take one of the free shuttle buses around the park. A trail, some of it paved, some it unpaved, extends around the Grand Canyon's South Rim. If you're up for a walk, it's a great way to enjoy the view. Some parts of the South Rim trail are part of a paved greenway, making those areas ideal for biking. Check out the National Park Service's guide to biking the Grand Canyon to find out if it's right for you. Entrance passes and annual passes for Grand Canyon National Park can now be purchased in advance online at yourpassnow.com. Visitors can purchase passes online and present them either as a .pdf on their phones, through Apple Wallet, or printed out. This is the only digital pass that is accepted, and is only valid for use at Grand Canyon National Park. The National Park service charges an entrance fee of $35 for a single personal vehicle (including all its occupants). Annual passes are available for anyone. Lifetime passes are available - must meet eligibility requirements. Military Annual passes are available free to U.S. active duty military personnel. The National Park Service has developed a guide for those with disabilities. 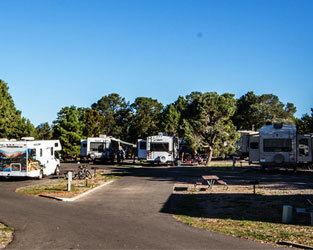 The following websites have helpful information about planning your trip to the Grand Canyon and what to do during your stay.